As temperatures are now hitting double digits on a regular basis our thoughts start to turn to the cricket season ahead. A warm welcome from me, Nigel Brewster, as I have just taken on the role of Colts Chairman and I look forward to meeting many of you over the course of the season. A big thankyou from the Cub must go to Mike Burling who fulfilled this role for the last 3 years, including last year when his son was not even playing for Ascot. Behind the scenes, Managers are getting mobilised for the season ahead. This year we have 18 teams entered in competitive leagues (Berkshire and Surrey) and we will enter cup competitions as well. Match fees have been increased to £4 per match this season. Thank you to those who have supported the Winter Nets at Charters in recent weeks. Attendance has not been great, especially amongst the older age groups, and we will give this further thought in advance of 2018. The registration process is underway and you should have received details on how to register from your age group manager. Final chance for registration will be the first two training sessions w/c 17th and 24th April. Full details of dates and times for Training Evenings are published on the Club website https://royalascotcc.co.uk . Registration fees (£100 per child; £80 per sibling; £50 girls) must be paid on one of these training nights at the very latest. Coaching will again be provided by Supersportz – an external organisation providing fully qualified coaches. Further details regarding the Clubs policy on parental supervision on training evenings will be supplied by your age group manager. However, please note that up to and including U13s, a parent/carer or nominated responsible adult will be expected to be on site at all times. Many of you will already be involved in other children’s sports clubs, and you will therefore be acutely aware that the ongoing success of the Club is completely dependent on the commitment of parental volunteers. Cricket perhaps more so that other sports – as games are longer, early evening starts, umpires, scorer, drinks etc. Please therefore do step forward and help your age group in whatever way you can – all skills can be learned! The Clubs official clothing supplier is Serious Cricket and a range of branded clothing is available from their on-line store. We are just awaiting final confirmation that Budgens will continue to sponsor the Colts section before processing orders for the 2017 season. Serious Cricket will be at the Racecourse on Monday 24th April so that you can check sizes etc. – any orders taken that night will be delivered free of charge to the Club for collection. Club policy is that every child representing the club must have as a minimum a branded shirt and cap. There is an extensive range of training kit and playing kit available. It seems that this day and age, every child has their own equipment – however, the Club does have a selection of equipment available (including small helmets) for general use. Please liaise with your team manager. Last year we had about 150 children in the Colts section, but still several age groups had difficulty fulfilling fixtures on a regular basis. There are several initiatives aimed at attracting more players to the Club including a Schools Programme run by Supersportz at local Ascot schools during April – this is underwritten by Ascot CC and the ECB charity, A Chance to Shine. Word of mouth is always the strongest recommendation so please encourage friends and neighbours. 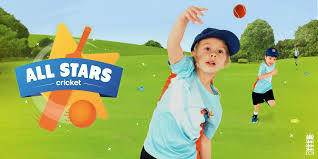 The ECB have just launched the All Stars national programme aimed at 5 – 8 year olds https://www.ecb.co.uk/play/all-stars . Ascot are a participating club so if you have younger siblings please sign up! Coaching will be on a Thursday evening. Kit Exchange – several parents have suggested running a ‘2nd hand kit’ shop; items that don’t fit anymore are donated and sold, with all proceeds going to the Club. Just needs a parent to step up and organise this. I am sure it will be a great success. The Colts section is a major part of Royal Ascot Cricket Club and we are lucky to have such a delightful ground in the centre of the racecourse. On the pitch, I look forward to building on last years’ successes. This winter we have no fewer than 21 boys in the Berkshire county set up across several age groups, and we hope many of them go on to represent the county this summer. One of the challenges we have as a club is retaining keen young cricketers – we need to develop a proper pathway for the U15s through to Men’s cricket. It would be great to develop an U17 team in the coming years. This is not necessarily about County level boys, but just good cricketers who want to play for their local Club. It may be a long time ago, but I enjoyed nothing more than coming home from University and playing for my local club with lads I had grown up with. Off the pitch, I hope we can continue to stimulate an active social environment on training nights and match nights and make some progress with the Fundraising. It has now started raining again, so the season is perhaps closer than I realised!